Surface Giveaway | PC.Solutions.Net . : We make nets work! :. P.S. #1 All you have to do to win a Surface Laptop is be the individual to who refers the most companies to us before November 30, 2018. That’s all! That’s correct – Not your company. Not your boss YOU! P.S. #2 The people you refer don’t have to buy anything from us, they simply have to be business owners/decisions makers (your friends, clients, vendors) with 20 PCs or more. But you’ve got to HURRY because this contest ends November 30. P.S. #3 The people you refer will be offered a free health check and assessment (a $900+ value). This includes review of critical security settings, user policies and backups… for FREE but they *must* be referred by you to get it. Hi! My name is Nadeem Azhar and I am the unofficial “VP of Everything”, we may have met before, but if not, that’s me next to the Surface Pro. Few months ago our “Marketing Superstar” (Jennifer) attended some kind of a marketing seminar and came back all fired up to generate more sales. All she can talk about is how she’s going to get our name out there by sending out more newsletters, post cards, yellow pages ads and even revamping our website. So she calls a company-wide meeting and says she wants to brainstorm some new marketing plans. At first we started talking about direct mail. Then Kaleem recommended that we look at Google Adwords and Chris mentioned Yellow Pages. 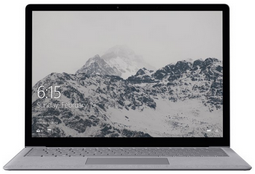 All you have to do is to be the PCSN client/individual who refers the MOST referrals to us before November 30, 2018 and you’ll win the Surface Laptop. First, please refer only business owners who have 20 or more employees. We love home-users but we are really only geared up for small and medium sized businesses like yours. Important: Your referrals are not required to say yes to this assessment or to purchase anything to count towards the total number of referrals you send us. Send the people you referred a quick e-mail to let them know we will be calling. When your referral signs up with PCSN, we’ll send you a Starbucks gift card. Not your company, not your boss, but YOU! And who doesn’t like Starbucks? P.S. The real P.S. was so important that we put it at the top of this letter! I don’t normally write to you about my vendors, but just recently, the company I use to support our computer network made a really good offer I wanted to tell you about. 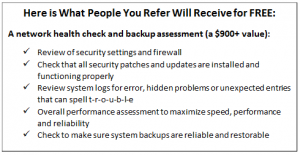 This offer is for a FREE Network Health Check and Backup Assessment where one of their technicians will conduct a detailed assessment of your network to make sure it is optimized for best performance and security. They will check to make sure you are adequately protected from hackers and data loss, check the status of your security patches and updates, look for hidden problems or performance issues, and even diagnose any problems you may have been experiencing. Normally they charge $900+ for this service, but they said I could give it away for free to my friends and colleagues. 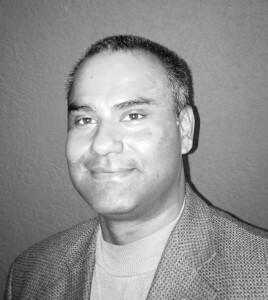 I’ve given Nadeem Azhar, the owner of PC.Solutions.Net and he should be calling you within next couple of days. Nadeem is very honest and delivers a great service; I can personally vouch for that. If you aren’t interested, just tell him that when he calls. However, I would highly recommend that you take him up on his offer because you won’t be disappointed.